On election night, Toronto showed that it is ready for a fresh start. But a new mayor is not the only major change coming to the city—by February, Toronto will have a new chief of police, too. The Toronto Police Services Board (TPSB)—the seven-member civilian body responsible for hiring the city’s next top cop—is currently seeking out potential candidates. 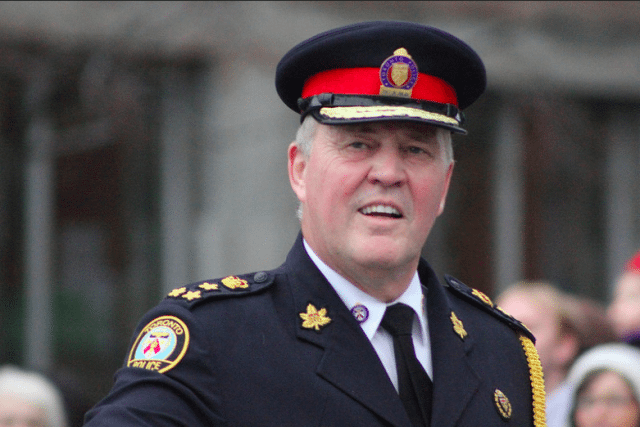 The person they choose could alter significantly the way policing is done in Toronto. But the Toronto Police Service has received a great deal of criticism in recent years—including on the subjects of police carding, use of force, and how officers deal with emotionally disturbed people—which the board is hoping to overcome with a new chief at the helm. Mukherjee says the TPSB is also looking for someone with strong financial management skills, owing to the nearly $1-billion police budget, which constitutes the City’s biggest annual expense. Those issues and more will be on the table at a series of public consultations happening this week and next across the city. The board’s aim is to get the public’s input on how the selection process should run. Residents can also share their views on the subject in an online survey available on the TPSB website. Once the consultations are complete and the survey results tallied, the board will create a shortlist of candidates, before making its final decision by January or February 2015.